Pan-Tilt-Zoom or PTZ Web cameras bring two powerful punches to the benefit of the digital video security and surveillance world. Not only can these cameras allow your system to reap the powerful benefit of camera movement (the first punch) but also make use of the Internet as a means for networking (punch number two). PTZ cameras have been used in the video security and surveillance world for quite some time; even when the systems operated in a totally analog format. However, as technology has increased, cameras have become more powerful in function and lighter in weight as well as more versatile in application. Now, digital video cameras with PTZ functions are much more easily controlled. Older analog systems usually required a separate, big, bulky controller board that connected to the Digital Video Recorder or DVR unit to manipulate PTZ cameras. This board was proprietary in that it was the only device that could be used to pan, tilt, or zoom PTZ cameras. However, since video security cameras have left the analog genre and become digital, there has been some merging that has occurred with the personal computer world. There are still separate controller boards available for use with digital PTZ cameras, but these cameras can also be controlled by using software and a personal computer. Many systems are now based on personal computer Graphical User Interfaces or GUIs and the PTZ functions can be controlled by a computer mouse or keyboard strokes. One PTZ web camera can literally take the place of several non-PTZ cameras. Since these cameras can move in two dimensions and enlarge views as well, they can cover the field of vision that would normally take several non-PTZ cameras to cover. PTZ web cameras have many uses and are great for monitoring large areas such as parking lots, industrial property, and even highways. Having one or more PTZ cameras is certainly a powerful advantage, but if these cameras are also PTZ Web cameras, their versatility in application and ease of access is incredibly increased. 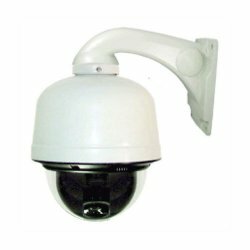 A PTZ Web camera utilizes the Internet as the networking solution for the system thereby broadening the scope of access globally. PTZ Web cameras are also known as IP ready or Internet Protocol ready cameras. These cameras have built in web server technology so that the camera can connect directly to the Internet. Once the Internet connection has been established these cameras can be used in many ways. For example, more than one PTZ Web cameras can be networked together using the Internet to carry their signals to a remotely located Digital Video Recorder or DVR unit that can record their digital video data. Another way PTZ Web cameras can be used is as individual cameras that use the Internet to send their digital video data to personal computers which are used to monitor and record their digital video data. This has great implications. PTZ Web cameras that are connected to the Internet can be accessed anywhere in the world there is broadband Internet access. This instantly converts the accessibility of the camera from a local system to a globally accessible system. In addition to monitoring these cameras anywhere there is Internet access, these cameras can also be controlled remotely from the same point. This access is not limited to only a personal computer with an Internet browser, but 3G and 4G smartphones can also monitor and control these cameras. This means you could be sunning on the beach in Australia while panning, tilting, zooming and monitoring your PTZ web camera security system in Paris. 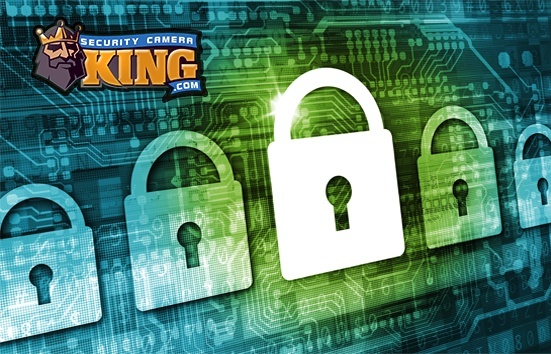 What more is the only thing needed to use your smartphone to do this is the small software application or app; and Security Camera King makes smartphone apps available for their featured security systems for free. In addition, PTZ Web cameras can also be programmed to track or follow moving objects. This auto-tracking option is great for keeping a close eye on moving objects in the cameras field of vision, especially if the field of vision is not expected to contain moving objects. So if you have the need for a digital video security cameras that can “look” left and right, up and down, and enlarge the view of objects, consider purchasing PTZ cameras. However, if you would like a camera that does all this and can be viewed and controlled anywhere in the world there is broadband Internet access, consider purchasing PTZ Web Cameras.